A good massage is always an act of compassionate touch. Whether strong and revitalizing or gentle and intuitive healing, the key to completely letting go lays in the magic of the touch. Here at Jardim we can arrange massages and Ayurvedic treatments for you. Do you know the times when you feel down, tired and emotionally overloaded? 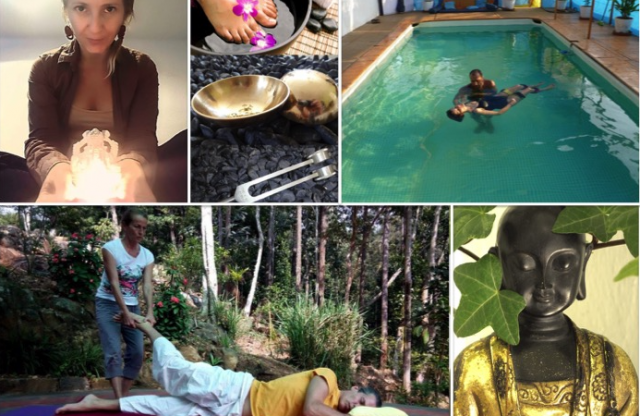 Petra is trained Ayurvedic therapist and Reflexologist but she likes the most to be an empty channel holding a safe space for you to express. She offers her full presence and support for whatever there is to become clear again. She helps you to find the answers through a present touch, aromatherapy and sound healing – your body will relax and your mind will disappear. You can read more about her treatments here. Daniel offers Watsu & Aquatic Body work. Discover the freedom of being released and supported by the water; gently moved in a a heated pool by a professional therapist who will ensure you remain comfortable and supported, using a series of gentle movements designed to achieve in water what may not be possible on dry land. This treatment is great for relieving stress, releasing you from back pain, providing total relaxation and a feeling of bliss. Find out more about Daniel and his work. There are plenty of resorts offering daily Yoga classes. The weekly schedule and special workshops will be announced at the blackboards over there. The offers: all kind of Yoga and Yoga therapy/ pranayama/ meditation/ vitality and flexibility/ inner strength/ AcroYoga/ Therapeutic Flying/ Mantra singing (Kirtan). The daily Yoga classes are adapted to the individual, safe, therapeutic, professional, collective and with a pinch of humor. 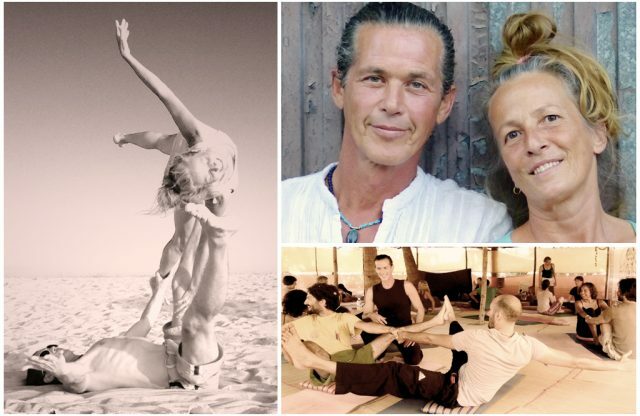 We look forward to meet, non-experienced, as well as yoga professionals. With our therapists you are in the best hands! Contact them directly or just ask us to arrange an appointment for you.